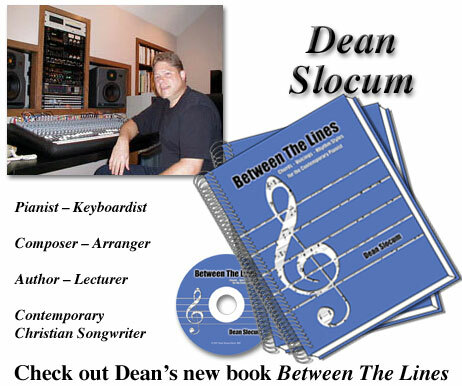 Dean Slocum's Studio - Welcome! Chords, Voicings and Rhythm Styles for the Contemporary Pianist. Includes 74-minute play-along CD. Purchase 176-page course and CD for only $79.99. Flat $7.99 shipping, even when ordering multiple copies. Read more about it and preview 3 sections of the course.